Something out, something in...That's how it goes for a small balcony garden. I have been dragging my feet in planting bulbs and seeds from Diana, as I need to free up some space to accommodate the generous offer of seeds and bulbs. I believe that most people whom had obtained bulbs and seeds recently had already planted them and theirs are all growing vigorously. Just look at K Mar's gladioli and Lynn's carrots and romaine seedlings. So feeling a little kiasu, I took to clearing some of the containers to free up space for the seeds and bulbs. The severely neglected Allium chinense still produced quite some bulbs. The first to go is the Chinese scallions that I had put in last November. I have three large poly-bags of them (they fill up the bags quite rapidly) and had thrown out one bag last month. When the remaining two bags were cut and the soil dumped away, I am faced with this bunch of Kiangsi scallions that I do not really fancy eating since they can taste a little 'green'. As they were about to go into the bin, I was told not to waste it so it is now waiting to be pickled. 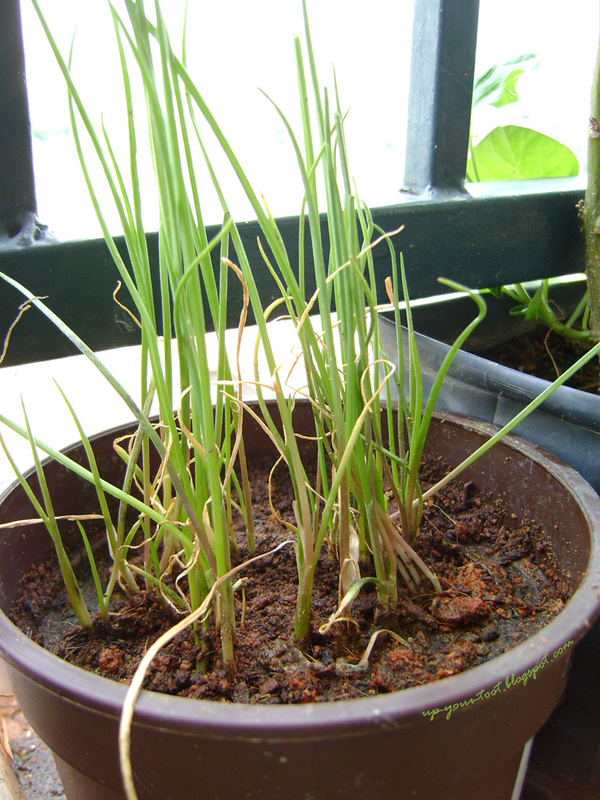 Some of the Kiangsi scallion bulbs were replanted into a small pot - just in case I still need it for some dish in the future. I did replant some of the bulbs, but this time in a small plastic pot. If needed, the bulbs can be further divided at a later date. The word "Scallions" launched a thousand thoughts in my head. I used to be confused with shallots, onions, scallions, spring onions and parsley! Oh if you can keep some, I will like to swap some plants with your for this plant ;-). 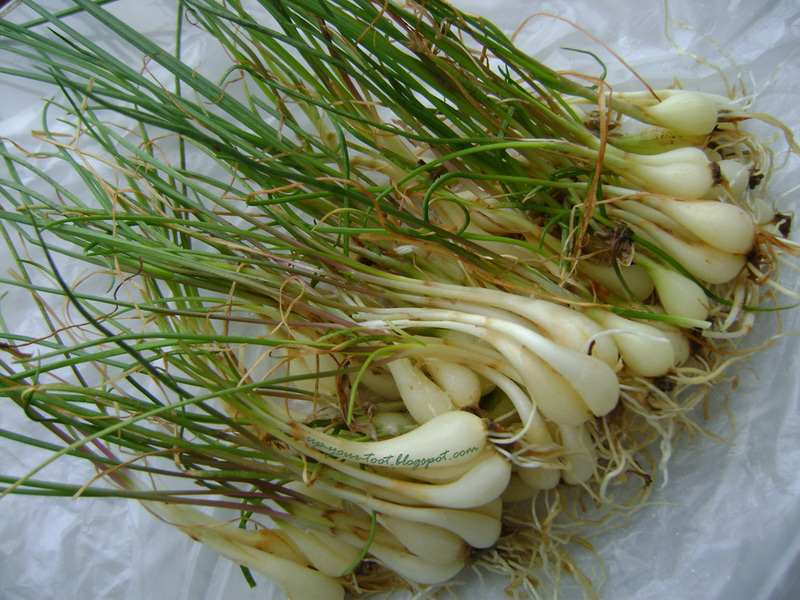 By any chance you have a recipe to make rakkyo from these scallions?